It gives me great pleasure to join you today at the flag presentation ceremony for the Hong Kong, China delegation taking part in the 18th Asian Games, which will be held from August 18 to September 2 in Indonesia. I'm delighted to learn that we are sending the largest Hong Kong delegation ever to participate in the Asian Games. At last count, some 580 athletes, pretty much evenly divided between men and women, will be competing in 36 sports. I am delighted to see not only many familiar faces here today, but also some new ones who will represent our city this year for the first time. Whatever your sport, your specialisation, I know you will all excel, that you will showcase the Olympic values of Excellence, Friendship and Respect, and more importantly, demonstrate to the world the "Hong Kong spirit". Apart from cheering for our elite athletes during the Games, my Government is committed to promoting a sustainable sporting culture in the community and supporting elite sports. 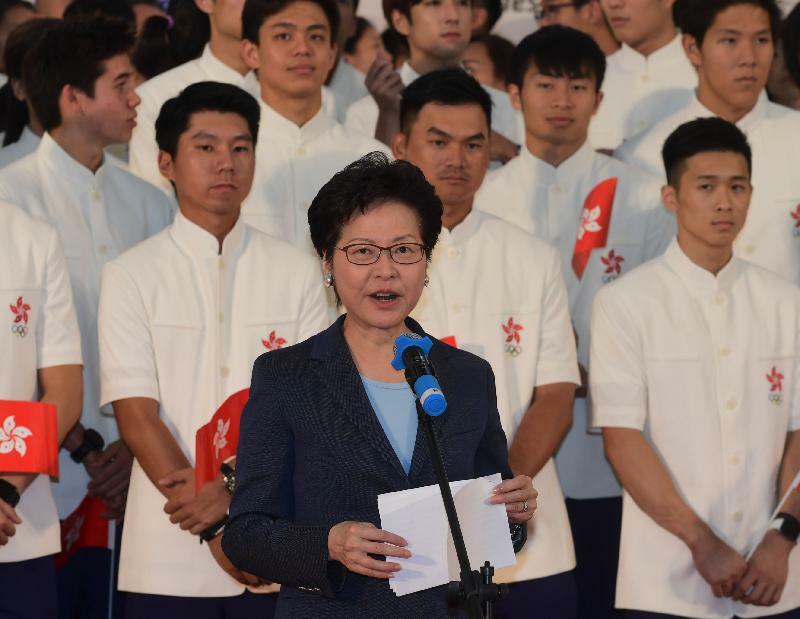 We recently allocated HK$6 billion to the Elite Athletes Development Fund. And to encourage team sports, we launched in January a Five-Year Team Sports Development Programme. Through this initiative, we provide HK$130 million to eight "national sports associations", giving them the resources to develop enhanced training programmes for Hong Kong teams competing in this year's and the 2022 Asian Games. It's worth noting that the number of fulltime elite athletes at the Hong Kong Sports Institute this fiscal year is about 460, up some 136 per cent in just the past six years. That underscores our commitment to supporting elite athletes. 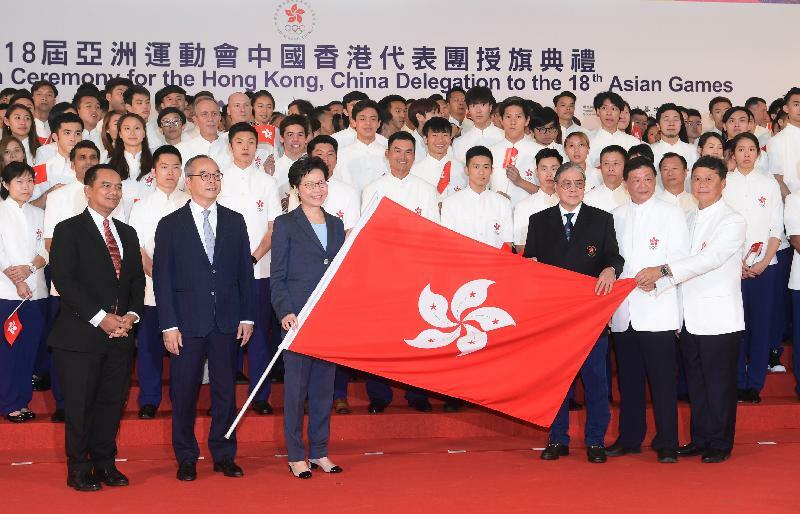 My thanks to the Sports Federation & Olympic Committee of Hong Kong for organising the Hong Kong, China delegation to the 2018 Asian Games, and for fielding a strong delegation of remarkably dedicated and talented Hong Kong athletes. I am confident that, with the spirited encouragement of the Hong Kong community, our athletes will once again rise to the international challenge, this time in Indonesia. Finally, I wish the delegation great success, and all our Asian Games' athletes a memorable and very rewarding experience. Thank you very much.